While most folks who read this blog are likely pursuing financial independence through the creation of passive income in excess of their expenses, this isn’t the case for everyone. Imagine having an investment that at any point could provide you a three-year level of cash flow that substantially covers your monthly expenses, through a combination of earnings and return of capital. Imagine this cash flow being like a faucet, building in size and pressure, waiting to be turned on and used if needed. Well, imagine no more. In a guest post over at 1500 Days, I lay out how P2P lending can provide a level of cash flow that could in essence become a three-year job that you wouldn’t need to work at in an emergency. Check out the chart below for potential cash flow numbers. Pretty incredible right? Think $3,000 or so per month can pay some bills in an emergency? Now, I understand this P2P lending isn’t the right solution for everybody, but this strategy is definitely something I’m going to look at for myself as I get closer to retirement. Check out the full-post and associated research at 1500 Days! It was a great post. I highly recommend you go over to 1500 days at the link above and go check it out. GYFG, thank you for the kind words! Absolutely loved this post because it matches almost exactly what I’m doing starting 1 year ago and continuing to save for 4 more years. Then withdrawing monthly until getting to age 59.5. Just another income stream during early retirement. Scott, glad to hear that you plan on leveraging this plan in your life. A living example of this in practice, pretty exciting! I’d love to hear your full story some time and what other income streams you plan on leveraging. If you’d ever like to share that on the site, let me know. WYOR, I would like to open a P2P lending with prosper or lending club but I’m concerned about the taxation. Do you get a 1099 at the end of the year or something? Also, I heard that big institutions have been raiding these things for cash. Are there still any good debts left or are we stuck with junk loans? Nothing to be too concerned about with the taxation. Both companies issue 1099s with all the necessary information required to prepare your return. As for guidance, Lending Club has a great tax guide that explains things fairly completely with how to report the income and charged-off loans. I will say that it isn’t as tax efficient as dividends as it is treated as ordinary income. As for loans, you’ll be able to get what you want, provided you automate your investment. There are several sites out there that help with that, plus both companies have internal automated investment options. The idea that ‘all the good notes’ are being taken is a misconception, however demand is high, so manual investment is really a thing of the past. Let me know what other questions you might have Jack. WYOR, how does the automatic investment work in Prosper? I was planning to invest an initial 500 in A and B with your criteria. Also, do you invest $25 in each note to spread risk or do you invest 100s in fewer risk? The automated ‘Quick Invest’ in Prosper is fairly simple. Simon over at Lending Memo has laid out exactly the process to set this up. If you’re investing in A and B loans, you shouldn’t have too much of an issue finding notes. If you’re only investing $500, absolutely stick with just $25 notes. You want to get to the 100-200 note range as quickly as possible to minimize the impact that one note defaulting can bring. Let me know what other questions you might have. Just started reading your guest post on peer-to-peer lending…really good so far. Sounds like something that I’ll definitely have to continue to look into. Glad you liked the post so far! P2P lending is certainly a viable addition to any asset allocation, and one I’m glad to be invested in as a part of my pursuit of passive income. Let me know if you have any questions as you explore it as an option for you. A great post! You lay everything out in an easy to understand format. Like you, I have been investing at Lending Club for a little over two years now and have enjoyed fairly nice returns. I was buying mostly C – F notes with a few G notes mixed in. Not sure about you, but I have seen quite a few defaults as of late, so moving forward, I plan to invest in A and B notes. I’m thinking a 75/25 split between the two grades. I will take the “little” lower ROI if it provides stability to my portfolio. I am going to give Lending Club’s “automated investing” service a try to see how it performs. We ran a little test with my Wife’s portfolio at Prosper. I only invested in AA, A, and B notes there. She is currently showing an ROI of 7.82%. No late notes, no defaults. Her account is about 1 1/2 years old now. My LC account has an ROI of 8.62%, but this number will decrease due to notes that are “moving down” the late tree. So really, we are pretty close. I fall in to the category of getting close to FIRE. So, I want stability where I can draw if needed. I think a reasonable filter strategy will make this happen for me. I do continue to add funds monthly to Lending Club. At any rate, another great post! Thanks for writing. Ray, thank you for the kind words! I’m glad you’ve had as much success as you’ve had thus far, and think that transitioning to a more conservative strategy will work out well for you as you near retirement. Capital preservation is key, and you should be in a position to generate some solid income at reasonable yields with the A-B strategy. Personally, I will likely start making that transition in a few years as my passive income generating power gets larger and consistency in returns becomes more of the name of the game. Best wishes, and thanks for being a great reader of this blog! Interesting article… I’m not familiar enough with P2P lending to get into it, but $3K of cash flow per month can help out a lot. Certainly doesn’t hurt! Key to remember in all of this is that your payments are a return of capital and interest, not pure income. In this way it is like a slow drawn emergency fund that earns a much higher interest rate. Thanks for reading ACI! Any risks one should be aware of? It is nice to consider this as an emergency fund yes or to use the interests gained to invest in some dividends! There are risks, DivGuy, yes. As a P2P investor myself I can tell you that you do run the risk of someone NOT paying back the money you lent them. But all investing carries risk. You just have to diversify yourself enough so that you spread that risk out. You’ve definitely hit the nail on the head with the potential for losing principal. A well diversified investor shouldn’t be overly impacted, however, the risk is always present. One more reason to invest in a minimum of 200 or more notes to help spread out the impact of any defaulted loans. Thanks for adding your thoughts RRQ! Rat Race Quitter highlighted the biggest one, and that is the risk of losing some principal. However, if you mitigate your risk through diversification and some simple filtering, you should be more than able to see some very positive returns. Let me know what other questions you might have DivGuy! Great post and good information. I have been looking to start P2P lending for a while now (of course with small capital), but haven’t had a chance to do the research needed. Need to spend some time looking around the community and information like this. Thank you DGJ! There are some pros and cons to any investment, and completing your due diligence is extremely important. While everyone has their own investment strategy, P2P lending is absolutely an important part of my overall investment picture. Feel free to reach out to me if you have any questions about P2P lending. So for a $100,000 investment, you would get a $3,000 or so profit a month? I thought it was a year. If it’s $3,000/month, that would be awesome. I saw a lot of finance bloggers invest in P2P lending, it’s something that I definitely need to look into. 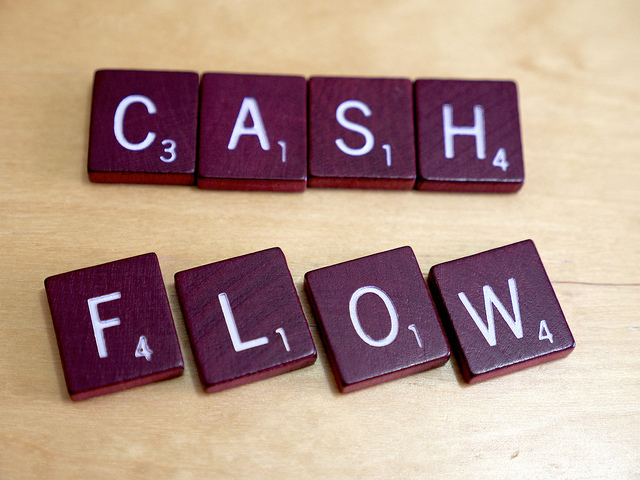 The $3,000 is not profit, but is instead cash flow that includes both interest income and return of capital. The intention is to reduce the need for a large savings account by leveraging the higher interest rates and ability to ‘cash out’ over a three year period. I hope that answers your question Felix.